I am a supporter of the world’s largest community for sharing food and changing lives. WeFeedback’s mission is to enlist your help and the help of your social networks in the fight against the chronic hunger that burdens families all over the world. The wefeedback.org platform was launched in 2011 as a social media initiative of the United Nations World Food Programme. WFP was established in 1963. Its mission is to provide food aid to: 1) save lives in refugee and other emergency situations; 2) improve the nutrition and quality of life of the most vulnerable people at critical times in their lives: 3) help build assets and promote the self-reliance of poor people and communities, particularly through labour intensive works programs. Click here to join in or find out more. You choose your favorite food, put it into the Feedback Calculator along with the estimated cost, and then calculate how many hungry children this would feed. The next step is to donate exactly that amount. Or, if you want, you donate multiples of that amount. In this way you feedback more portions of your favorite food. 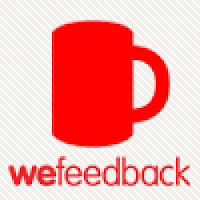 At this point you will be a member of the WeFeedback community. But in order to participate fully, there is another step: share details of your favorite food and your feedback with others. You can do this through your networks, if you ask them to join WeFeedback. They then ask their networks and before you know it, we have thousands of people like you using their networking skills to raise awareness for a great cause. This is food blog about feeding a child with food intolerances, but I’m lucky that as a mother I can feed my child. There are many who can’t. It takes just 25 cents to feed a child a nutritious meal at school – $50 could feed that child for a whole year. If you can’t donate money you can play this free online game – Freerice – and earn rice to donate. Here’s an example of how wefeedback is helping 10 year old Alvin from Kenya. You can also help in other ways – click here to find out more.